If you want to meet an artistic legend– come spend an afternoon hanging around with a bunch of clarinet lovers at Flourish Studio’s 3020 N Lincoln Avenue in Chicago on Sunday October 11th from 2-6. 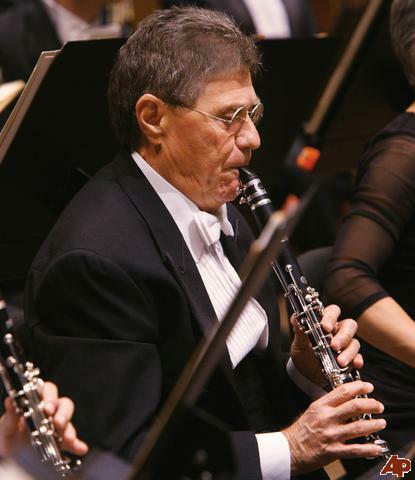 French wine will be paired with French Buffet clarinets for an afternoon of wine tasting, impromptu performances by Stanley and attendees, short and free chair massages all put together in honor of the legendary New York Philharmonic Principal Clarinetist, Stanley Drucker. Stanley just ended a 60 year career with the New York Philharmonic. Having played over 10,000 concerts with the New York Philharmonic alone, Stanley just made the Guinness Book of World Records. Artistic orchestra careers like these are not the wave of artistic success in the future. Stanley is the last of an era and worth dropping in to meet. I will be presenting a PACE session at this year’s CPSI Conference, taking place in June 2009 in Boston. Go to www.cpsiconference.org to check it out. At the conference I will be presenting about the Principles of Design and problem solving. 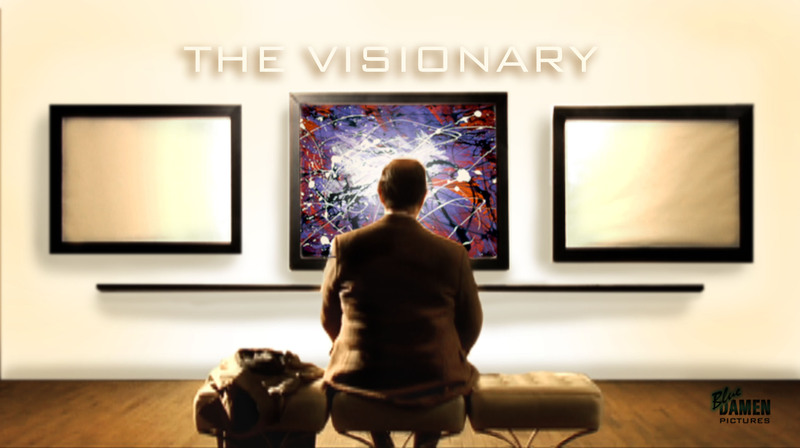 The Principles of Design have been used by artists for centuries to create successful images. These same principles can be applied to identify organizational strengths and weaknesses, to access right brain thinking and to provide direction for creative problem solving. While proportion, harmony, repetition, contrast and balance have long been identified as key elements of the visual arts, they have yet to be widely applied to the art that is our life and our life’s work. This is an example of the Group Mural Project I facilitate with corporate clients. This one was created by the team at The Sommet Group. Each square was created by a different memeber of the team. All they saw was the little square I gave them. They had no idea of the finished image and, of course, most of them has zero confidence in their artistic ability! Isn’t it gorgeous!?!? How do you think they feel now? They learned that they can’t put limits on their beliefs and that, as a team, they can create amazing change! It is now hanging in their training room and they refer to it at the beginning of almost every meeting to get into their right brains so that they can innovate change! Check out the blogs below for other creative approaches to problem solving and to meet some incredible people that will also be at CPSI this year! The Chicago Arts Educator Forum will have their FIRST forum focusing on the topic of building partnerships in arts education on Friday, April 10th. Hosted at Adventure Stage Chicago (formerly known as the Vittum Theater) from 9:30 am – 5:00 pm, registration is only $25 which includes breakfast, lunch and free parking!. Please join us for the first, of what we hope will not be the last, networking/sharing/discussion day for the Chicago arts in education community. The Chicago Arts Educator Forum (CAEF) was formed last year to connect arts educators from around the city. Comprised of arts organizations, teaching artists, and arts administrators working together to provide professional development and networking opportunities in the field, the CAEF was created in response to a stated need for dialogue, communication, and continuing education for arts educators. We will take the day to actively explore how to define partnership and how to frame our work with schools, other organizations and the community. Click for more information or to register. Arts Advocacy Day in Washington! Today, hundreds of dedicated arts supporters from across the country have come together in Washington, DC for National Arts Advocacy Day, a united effort to tell Capitol Hill how important culture is to our communities, how much arts education means to our children, and how much the arts improve our daily lives. 83 National CoSponsors have helped us shape this united arts message to Congress. This year, Arts Advocacy Day will be busier than ever, and not only because of the near-record number of advocates attending. Americans for the Arts has once again been asked by House Interior Appropriations Subcommittee Chairman Norm Dicks (D-WA) to organize a hearing on the arts on Arts Advocacy Day. We are very pleased that our President & CEO Robert Lynch will be joined by several other national leaders in the arts, including Artistic Director of Jazz at Lincoln Center Wynton Marsalis, GRAMMY®-nominated singer-songwriter Josh Groban, GRAMMY®-Award winning singer Linda Ronstadt, and business leader and Philadelphia Federal Reserve Board member Jeremy Nowak, to testify at the hearing. The Subcommittee is expected to webcast the hearing live starting at 10:30 a.m. Eastern Time. A link to the webcast can be found on the House Appropriations Committee website. Even if you’re not able to join us in Washington, you can still participate in Arts Advocacy Day by asking your Members of Congress to support the arts. By visiting our E-Advocacy Center, you’ll be able to send a message directly to your Representative and Senators telling them why the arts are important to you and your community. We’ve provided bullet points covering our eleven key Arts Advocacy Day issues, which you can use in the sample letter that we’ve drafted for you. We also encourage you to write your own unique story to illustrate the importance of the arts to your community. Using the E-Advocacy Center, you can create and send your letter to Congress in less than two minutes. We urge you to send your message to Congress today to coincide with our office visits to the Hill. Click here to send your message. Need more information? Browse the 2009 Congressional Arts Handbook for issue briefs, voting records, latest arts research and trends, relevant Congressional committees, and Congressional contact lists. Thank you for your continued support of the arts! Together, we are making a difference! The New York State Alliance for Arts Education, in conjunction with the Adirondack Arts in Education Partnership and Champlain Valley Educational Services is proud to present a day-long Arts-in-Education (AIE) conference. This conference is designed for all educators: general classroom teachers, sequential arts & music teachers, school administrators, teaching artists, cultural organization education coordinators, school librarians, and interested parents. Participants will gain insight and strategies on bringing the arts into the classroom and infusing and enriching the curriculum in all subject areas through the arts. Those new to AIE will discover where to begin the journey, and where to turn for resources. Veterans will gain new techniques for the planning, execution and evaluation of AIE programs. Our goal is for everyone to come away with a renewed passion for ensuring that the arts are an integral part of every student’s education. *Included in your registration is a “meet and eat” with conference attendees and session presenters at the Lake Placid Center for the Arts on May 6th 2009 at 6pm. 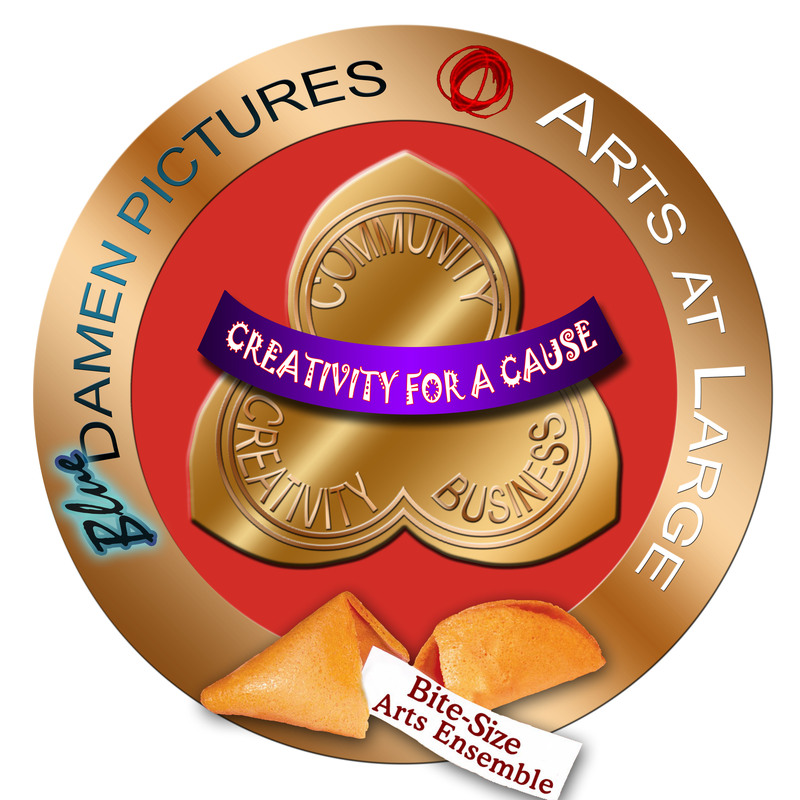 Don’t let this opportunity pass you by!New York State Alliance for Arts Education. This is a Professional Development Opportunity! 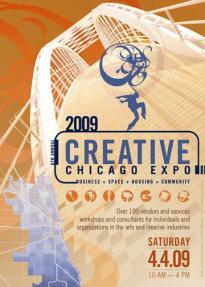 The Creative Chicago 6th Annual Expo: Sat April 4th! It’s Free! What: A gathering of resources, services and expertise for people in the arts. The Creative Chicago Expo brings the best of Chicago’s cultural community together under one roof. Over 120 vendors and services, 21 workshops and panel discussions on topics specifically for individuals, arts organizations and small art businesses. New this year — Consult-a-thon! Consult-a-thon will let you get feedback on a grant proposal from a funder, improve your website with advice from a marketing strategist, get tips from a casting director on successful auditioning, have your portfolio reviewed by curators and galleriests. Or talk board development and strategic planning with experts in the field. Click here for a list of participating consultants and to sign up for an appointment. Theatres, Mission Paradox, and others. Over 100 top arts business, space and other service providers from Chicago and the US will be at the Expo. Learn more about them in the CREATIVE CHICAGO DIRECTORY 826CHI • After School Matters • Aloft • American Indian Association of Illinois •AMS Realty • Arte y Vida Chicago • Artisans 21 Gallery • Artists’ Real EstateServices • Artreach at Lillstreet • Arts & Business Council of Chicago • Audience Architects • Bad at Sports • Ballet Chicago • Brazilian Cultural Center of Chicago • Brinshore Development • Bronzeville Emporium LLC • Bronzeville Visitor Information Center • Chicago Access Network Corporation (CAN TV) • Chicago Acoustic Underground • Chicago Artists Coalition • chicago artists resource • Chicago Cabaret Professionals • Chicago Community Loan Fund • Chicago Creative Coalition • Chicago Cultural Alliance • Chicago Department of Business Affairs & Consumer Protection • Chicago Department of Community Development • Chicago Department of Community Development-Rents Right Program • Chicago Department of Cultural Affairs • Chicago Film Office • Chicago Group Sales • Chicago Park District Department of Environment, Culture & Special Events • Chicago Printmakers Collaborative • Chicago Public Library Visual & Performing Arts • Chicago Public Radio • Chicago Sustainable Manufacturing Center • Chicago Tax Assistance Center • Chicago Waldorf School • Chicago Women in Publishing • City Treasurer’s Office • Cinema/Chicago and the Chicago International Film Festival • Claretian Associates – South Chicago New Communities Program • Columbia College Chicago • Community Media Workshop • Consolidated Printing • David Leonardis Gallery/Howard Finster Vision House • DuSable Museum of African American History • e-poets network • Ellen Baren, REALTOR, @properties • Executive Service Corps of Chicago • Experimental Sound Studio • Fidelity Mortgage Services, Inc. • Fractured Atlas • Future of Music Coalition • Glenwood Avenue Arts Fest, c/o Lifeline Theatre • Global Alliance of Artists • Gorilla Tango Theatre • Greenleaf Art Center/Coldwell Banker • Harold Arts • HD Design & Printing • Hogwash: An Improvised Tall Tale • Howard Ecker + Company • I-GO Car Sharing • Illinois Arts Alliance • Illinois CPA Society • Illinois Dept. of Healthcare and Family Services • iSearchiGive.com • JL Harris Associates • Julie Woodward-Trenker ABR, ASP, CRS REALTOR • KAE DJ Gospel Heritage Charity • Kartemquin Films • Latin Rhythms Academy of Dance & Performance • Law Offices of Keith B. Baker, Ltd. • Lawyers for the Creative Arts • League of Chicago Theatres • Lillstreet Art Center • Links Hall • Mayor’s Fashion Council Chicago • Midwest Writers Association • Milwaukee Avenue Arts Festival • Mitchell Museum of the American Indian • Morgan Park Academy • Music Garage Chicago • Niche Realty • Office of the City Treasurer • Open Studio Project Inc. • Organization of Black American Culture – Writers Workshop • Paczolt Financial Group • Paeon Partners • Pilsen Together Chamber of Commerce • Podmajersky / Chicago Arts District • Preservation Chicago • Priscy’s Production Outreach Program NFP • Refuge: Center for Artists in Recovery • River East Art Center • Riverfront Work Lofts • Riverside Arts Center • Sherwood Conservatory of Music at Columbia College Chicago • Society of Midland Authors • SONZ OF THE MOST HIGH • Stacey Montgomery & Associates • StoryStudio Chicago • Superior Rehearsals • The Art Institute of Chicago Division of Continuing Studies and Special Programs • The Art Institute of Chicago Family Programs • The Chicago Mosaic School • The Great Books Foundation / The Common Review • the green lantern gallery & press • The Illinois Institute of Art – Schaumburg • The Joffrey Ballet Academy of Dance • The Recording Academy • Third Coast International Audio Festival • Tree Studios • Urban Gateways • Vogue Fabrics • Wenger Properties • West Walker Civic Association/Art In My Back Yard • Women In Film Chicago • Young Chicago Authors • and more! In case you haven’t already heard, there is a groundbreaking research project underway called the Teaching Artist Research Project (TARP). Yes, that’s correct, its a good acronym to use for an entirely different project. TARP is the first national study to examine the world and work of teaching artists. The motivation for the study comes from the remarkable advances in arts education, both in and out of schools, over the last fifteen years, despite a difficult policy environment. Teaching artists, the hybrid professionals that link the arts to education and community life, are the creative resource behind much of this innovation. Research shows that the work of teaching artists makes a large and important contribution to our communities. But there is no systematic information about teaching artists’ career, which this project hopes to capture. TARP hopes to deepen the understanding of the lives and work of teaching artists through studies in twelve communities, and it will inform policy designed to make their work sustainable, more effective, and more meaningful. TARP is being conducted by the major research center NORC at the University of Chicago. Its principal investigator is Nick Rabkin, a founder of the Chicago Arts Partnerships in Education, a contributor to Champions of Change: The Impact of Arts on Learning, and author of Putting the Arts in the Picture: Reframing Education in the 21st Century. He is the former director of the Center for Arts Policy at Columbia College Chicago. TARP is supported by 25 foundations and state and local arts agencies. If you’re a teaching artist or manage a program that hires teaching artists, TARP wants to hear from you. Click here to learn more, register, and become part of this very exciting and important project.